Catch Up on Channel 5. Channel 5 is a British TV channel with 1,741 programs to watch online. That's more than 8,237 hours of playtime! 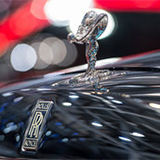 Recent popular programs include Celebrity 5 Go Caravanning, Walking Britain's Lost Railways, Britain's Favourite..., Britain's Great Cathedrals With Tony Robinson and Cruising With Jane McDonald. Catch Up on Celebrity 5 Go Caravanning and watch online. 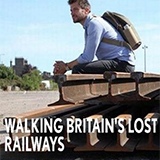 Catch Up on Walking Britain's Lost Railways and watch online. Catch Up on Britain's Great Cathedrals With Tony Robinson and watch online. 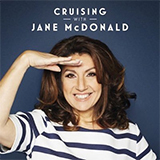 Catch Up on Cruising With Jane McDonald and watch online. Catch Up on Celebrity 5 Go Barging and watch online. 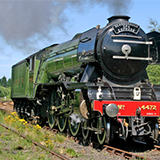 Catch Up on The Flying Scotsman and watch online. Missed an episode of The Flying Scotsman, broadcast by ? Catch Up on Bargain-Loving Brits In The Sun and watch online. Catch Up on Lip Sync Battle US and watch online. Missed an episode of Lip Sync Battle US, broadcast by ? 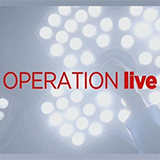 Catch Up on Operation Live and watch online. Missed an episode of Operation Live, broadcast by ? Catch Up on Home and Away and watch online. Missed an episode of Home and Away, broadcast by ? A Tribute To Larry Hagman: At Home With J.R.
All Inclusive: Is It Worth It? Chas & Dave's Xmas Knees Up! First Class Vs Economy: Is It Worth It? Got Thin - Got Fat Again! TipMy Mum's Hotter Than Me! Marston's Brewery: One Ale of A Job! Michael Portillo: Our Housing Crisis - Who's To Blame? Most Shocking Talent Show Moments Ever! Pothole Britain - Drivers Beware! Speidi: Scandal, Secrets & Surgery! Tattoo Disasters: What Were You Inking? The Butcher Surgeon: Why Wasn't He Stopped? Thomas & Friends: Big World! Big Adventures! White Dee: What's All The Fuss About? Why Did Oscar Pistorius Kill Our Daughter? Why Do Men Earn More Than Women? 200 Nips & Tucks and I Want More! 3. Episode 3 The celebs plays games like Clue Boom and Show Me the Music. 2. Portugal Jane takes a deluxe trip down the river Douro. 07:55 Thomas & Friends: Big World! Big Adventures! 1. Episode 1 Carol, a traveller, can't understand why she is vilified.